Spinal injury is a very serious matter which can have devastating effects on one’s health, family, work and well-being. Spinal injury claims are for those individuals suffering from Spinal Injury through no fault of their own. This can be very difficult on the victims and their families as activities which were once simple day-to-day tasks are now very strenuous and often require assistance. Furthermore, many victims cannot perform their jobs due to their physical impairment, often needing assistance from family and friends who also have to reduce their hours or otherwise, pay for a carer. Spinal injury compensation may not fix the damage caused, but it will help you pay for arrangements to making living your everyday life easier. This may include making your car and home more accessible and compensate for your loss of wages. Compensation may also cover the emotional and psychological impacts associated with your new living circumstances. 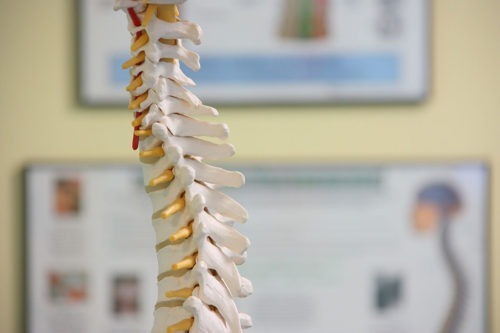 Severe injuries to the spine often result in paralysis and loss of body functions causing loss of independence, career, quality of life and affecting the injured’s family life for a long time. It is often the case that the injured are not aware of their rights and do not receive adequate care and compensation. It is clear that no compensation can ever return the loss of mobility or reverse the psychological damages, however, appropriate compensation will significantly improve the quality of life and provide financial stability for the injured and their loved ones, to be able to afford ongoing therapy, carers and to afford to modify the injured’s home to make mobility easier. It is absolutely crucial to be fully aware of all of your options. At Bloomsbury Law, we appreciate that you may be experiencing a lot of stress and pressure at the moment. It is important for you to know that we operate on a conditional fee basis and we are here to provide you with a financially risk-free claim. We will listen to your claim and use our experience in the field to provide you with expert advice. We have experience with maintaining both a professional and emotionally sensitive approach to make you feel comfortable while still providing you with a quick and efficient service to ensure the best outcome.